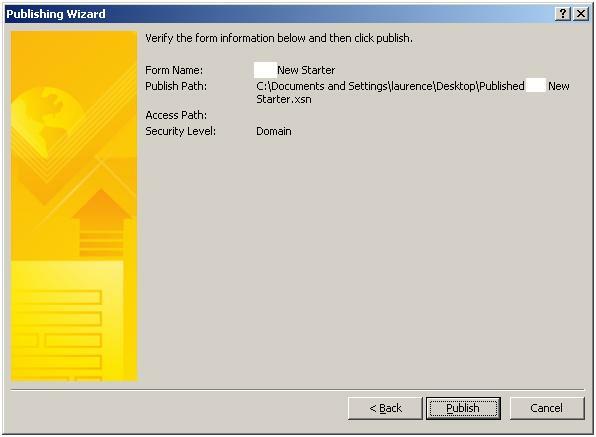 This documentation will guide you how to publish an InfoPath form to SharePoint Server 2007. 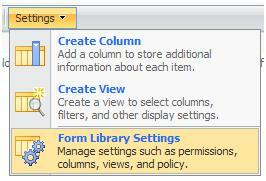 Published forms in SharePoint will be used as a template in a library, particularly in a form library. 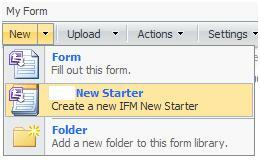 You need a Form Library in SharePoint before you publish the InfoPath form as a template to the library. 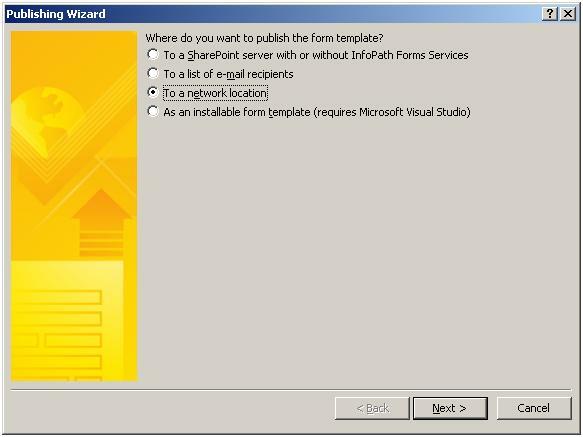 If you can publish directly from InfoPath to SharePoint, you have the option to create the library on-the-fly when you are publishing the form using the publishing wizard. However, if you need to publish it manually, the library must be created before the form is published. 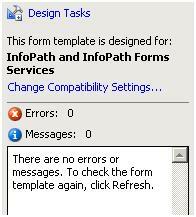 Start designing the InfoPath form template. 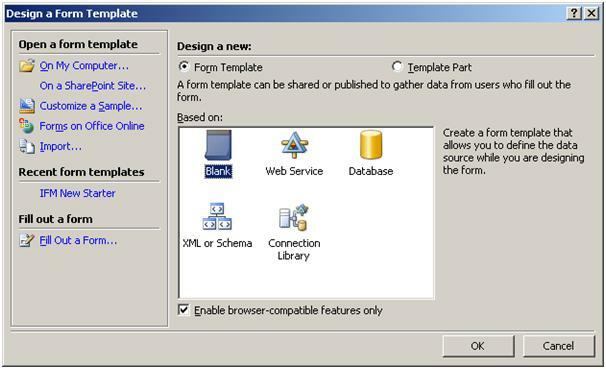 Make sure when creating a new form template, the ‘enable browser-compatible features only’ is checked – if you want to be able to open the form from the web browser. 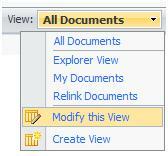 This allows users to view/open the forms without having to have InfoPath application installed on their PC. This document does not teach you how to design an InfoPath form. 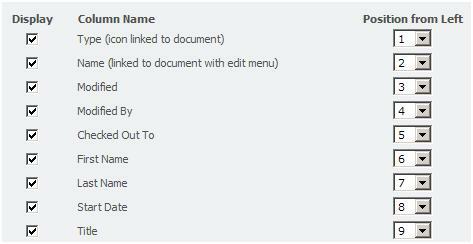 Please visit Microsoft website for more details how to design InfoPath form. 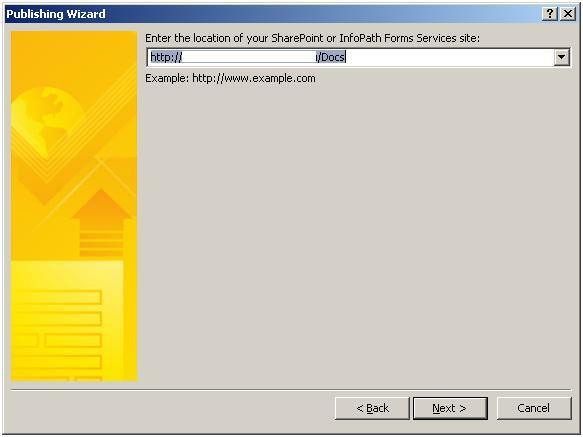 You can promote the properties of the InfoPath form so that they become available as the content type of the form library in SharePoint. 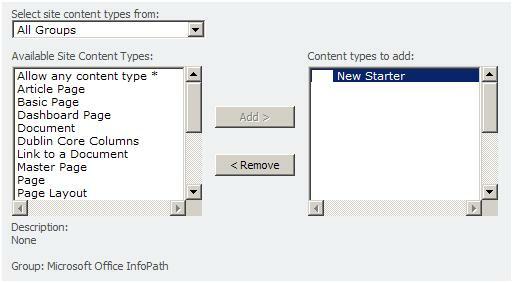 This allows you to view the properties of the InfoPath form directly from the SharePoint columns of the library. After you have finished designing your template, set the compatibility to be web browser enabled. If you are getting this error message, it is most likely that you cannot publish the form directly to the SharePoint server. 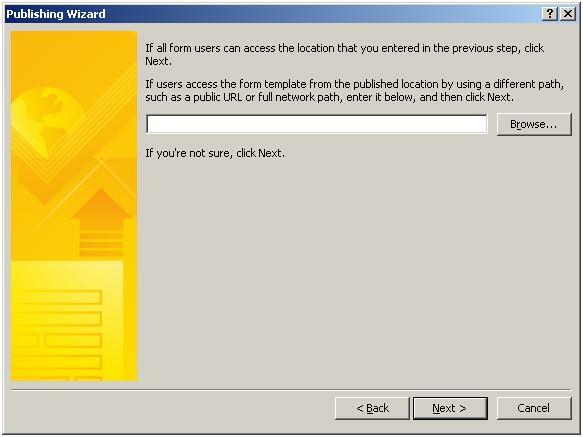 Microsoft does not have solution at the time of this writing – workaround will be discussed later (Publish to a network location). 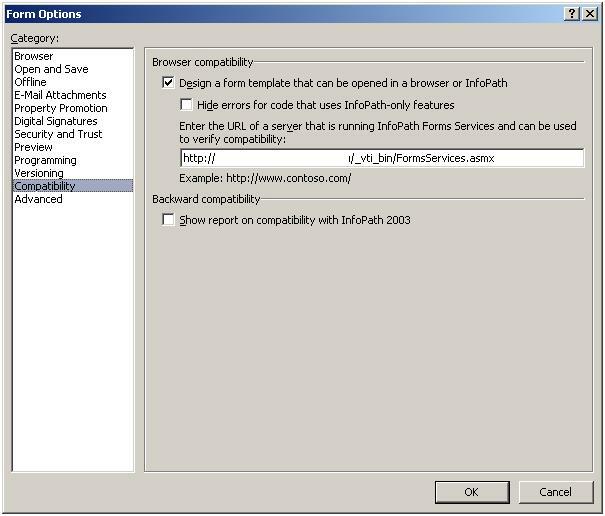 Note this error only happens to InfoPath 2007. 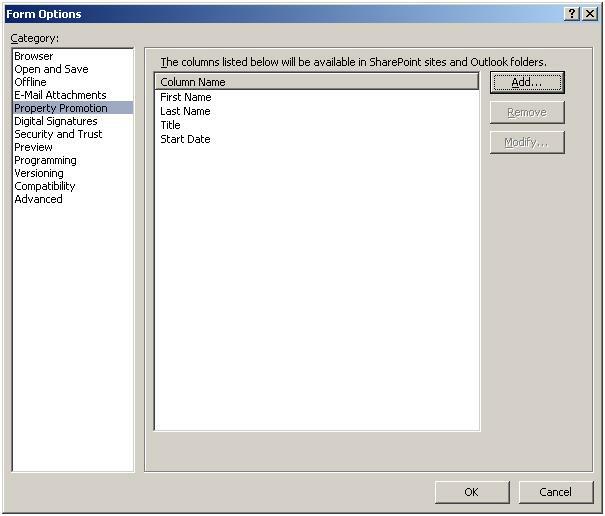 If you are using InfoPath 2003, most of the time you can publish directly to SharePoint. If you are not getting the error message, you will be prompted to choose which library do you want to publish the form template to. Just follow the wizard. 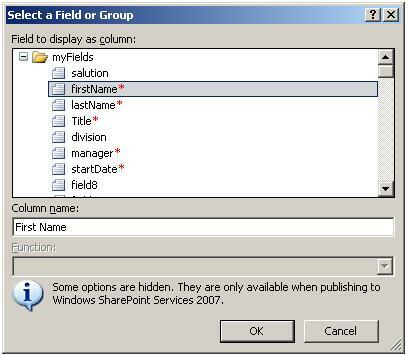 This publishing method is an alternative or work around to publish the InfoPath form to SharePoint if the form can not be published directly to the SharePoint. 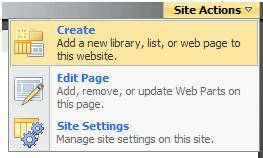 You must have permission to SharePoint central administration to upload the form to form templates. 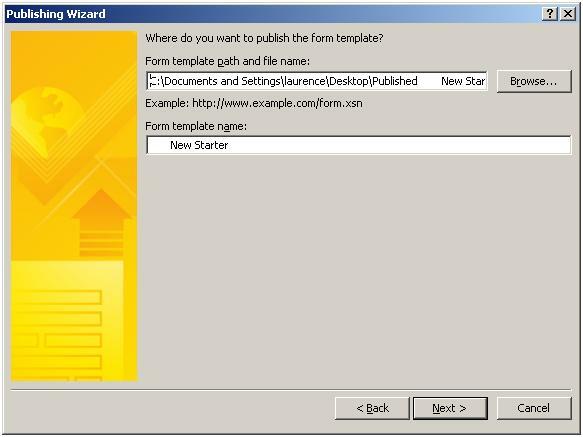 The new form template must be activated before it can be used throughout a site collection. 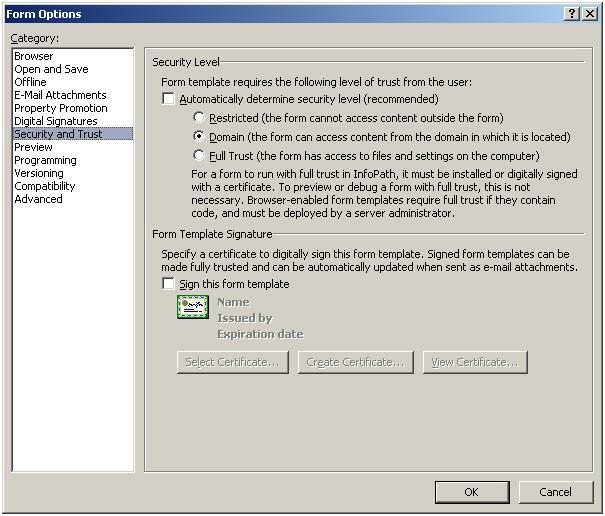 Once the form template has been activated, the template can be used as a new content type for a library. By default, the view does not show the new content types. View must be changed to be able to show the content types.